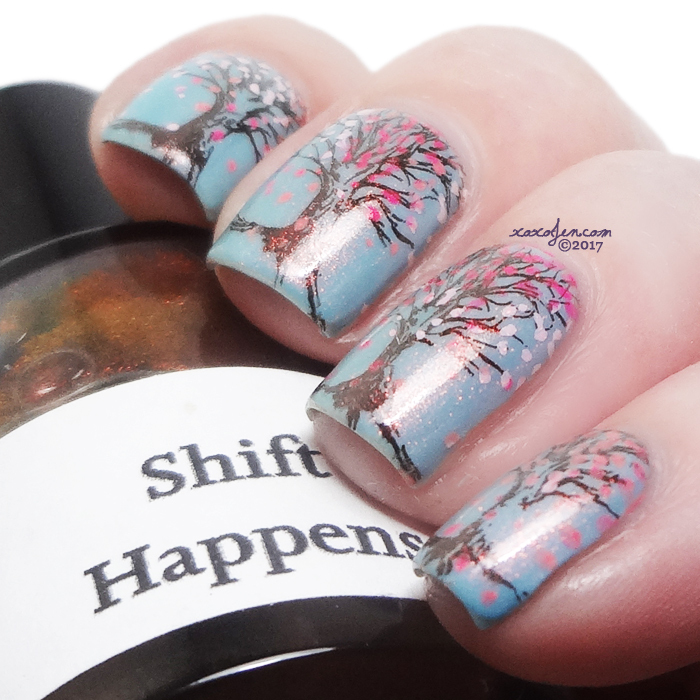 I just recently received a new Lina Plate, Lovely Leaves, and was immediately inspired to stamp my current mani of Different Dimension Lett's Not Mintion It. 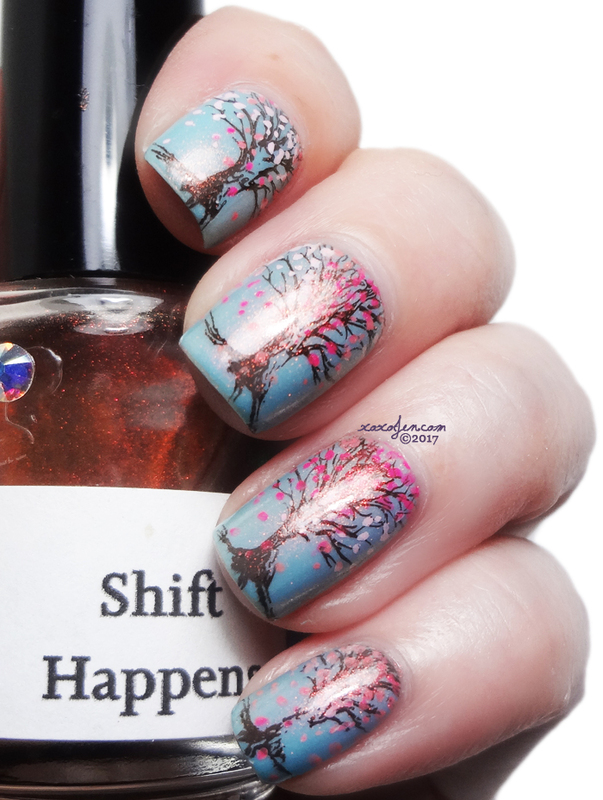 To stamp, I began by applying dots of Stump Up the Jam and Walnuts About You to my plate over the tree design. 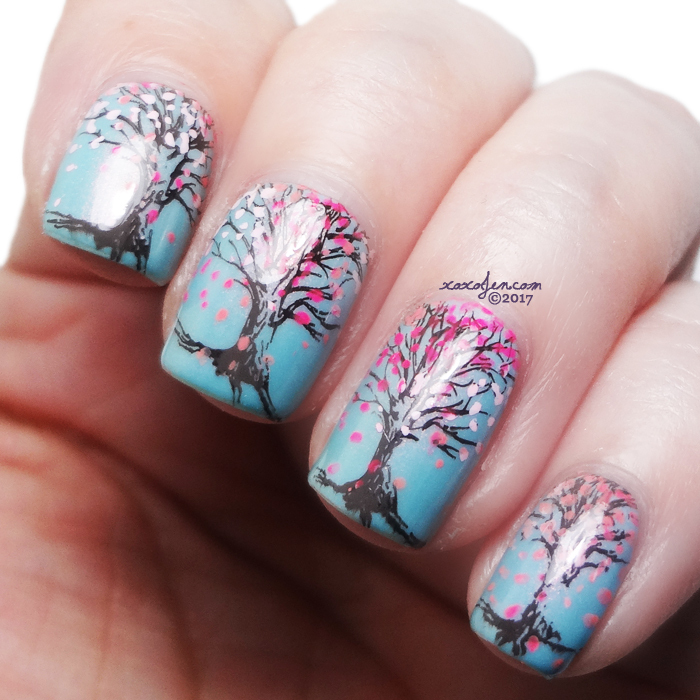 I mixed them with the scraper on the plate to get a two-toned tree look. 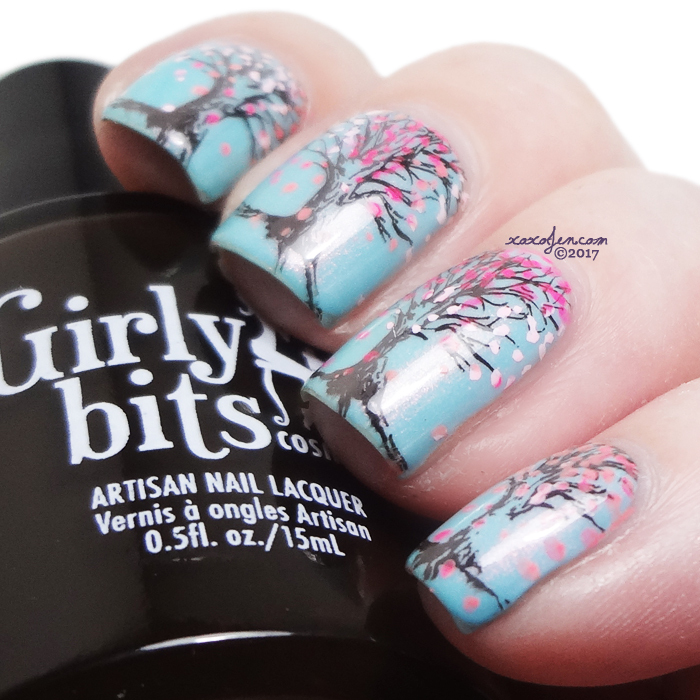 The Girly Bits fall collection is amazing for stamping, so glad I have them! 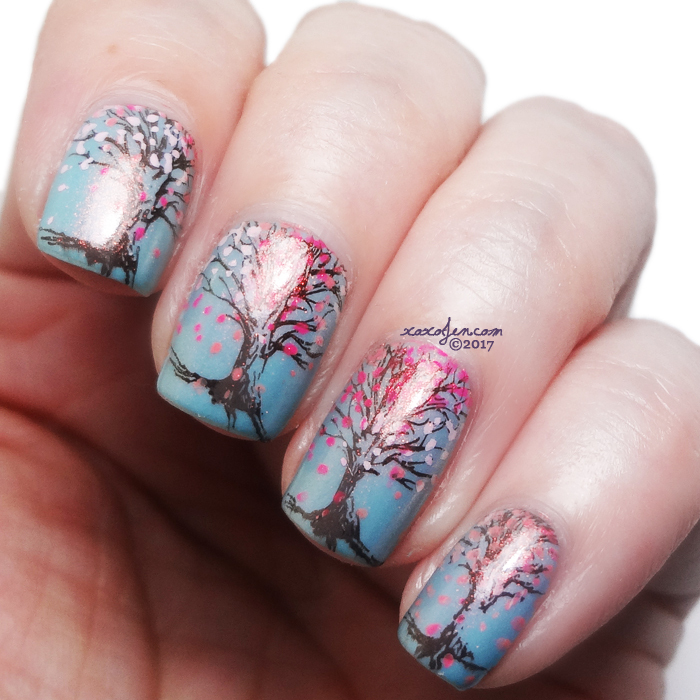 To create a cherry blossom tree, I dotted a variety of pinks from MDU over the dots design on the same plate. 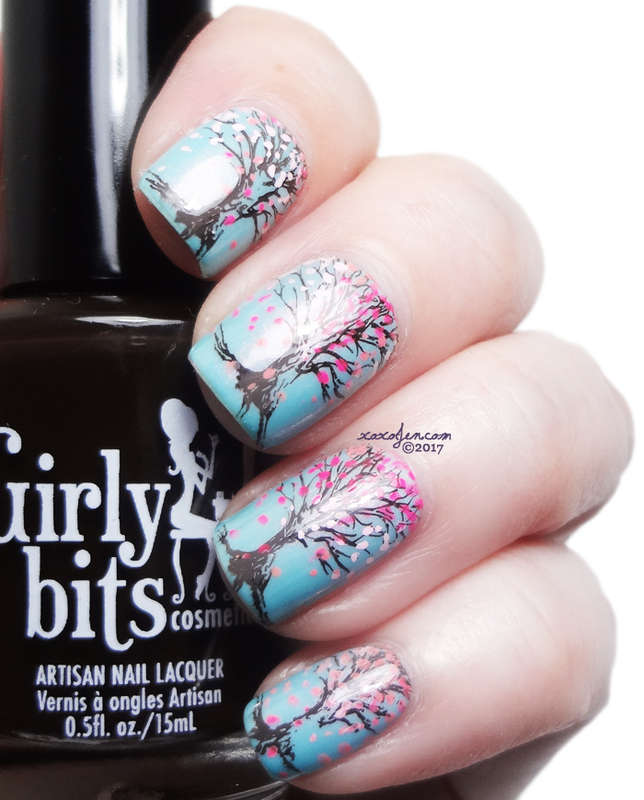 I layered the pink dots over the stamped trees and topcoated with KBShimmer Clearly on Top to finish. I really love how it looks with the topper! It adds a coppery and sometimes pink or golden looking shimmer to the overall look. 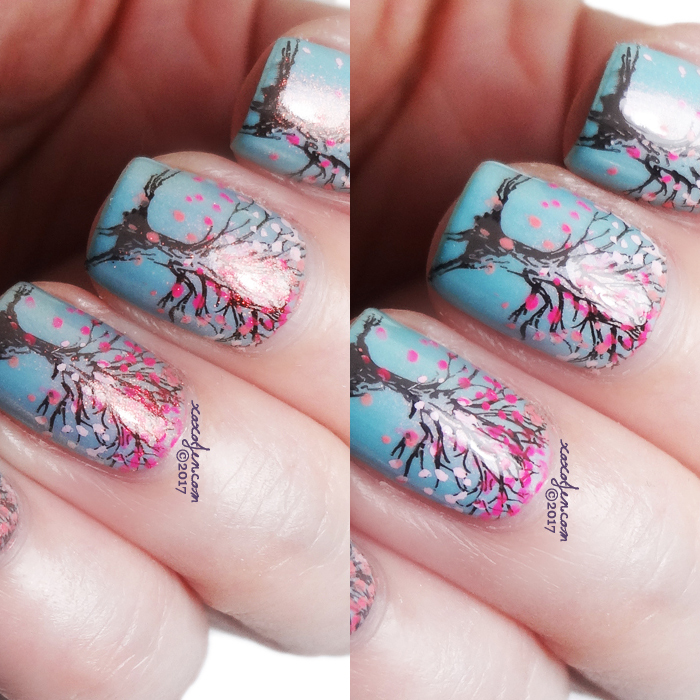 I really enjoyed wearing cherry blossom trees on my nails, they make me happy! They also remind me of New York and the short time I got to visit. What is your favorite nail design to wear?